1980: Philippe Duchemin broke into the Paris jazz scene and became a regular performer at the NEW MORNING, PETIT OPPORTUN and HOTEL MERIDIEN. 1981: He recorded with the MIDDLE JAZZ QUARTET and played in jazz festivals at La Grande Motte, Angers and Le Mans. 1983: Marked his meeting with the famous KENNY CLARKE who hired him in his JAZZ AND LIBERTY band. 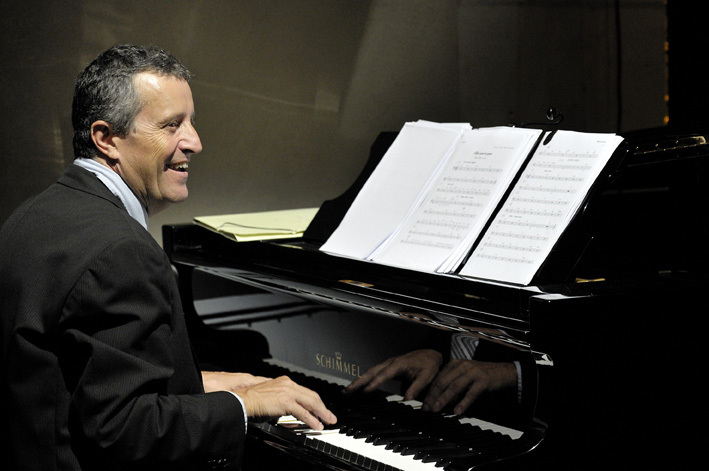 1984: Philippe Duchemin was appointed musical director of the Centre Jacques Prevert Jazz School in Le Mans. 1985: He recorded a homage to COUNT BASIE with MICHEL ATTENOUX, JOE NEWMAN and BENNY POWELL. 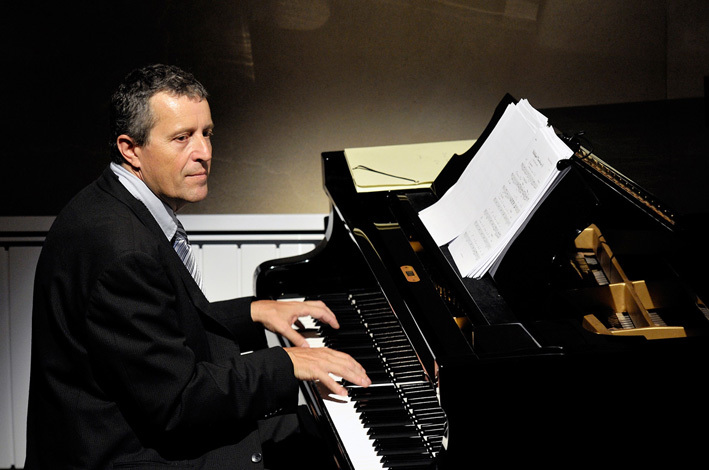 1986: Duchemin obtained the Diplôme d'Etat de Professorat de Jazz. During this year he conducted the orchestra of American SPANKY WILSON and played with the great LIONEL HAMPTON ! 1988: He recorded FOUR BONES with François Guin and also performed with RAY BROWN and BOB MOVER. 1990: Duchemin became the pianist of the French-Spanish band PARIS-BARCELONA and recorded 2 CDs with the group. 1991: He was pianist for PIERRE SCHIRRER and recorded 2 CDs, one with FRANK WESS, and the other with organist WILD BILL DAVIS. Duchemin also self-produced his first CD, "ALIZES", with his own Trio and received acclaim by critics. 1992: His second CD, "TRIO LIVE" was released, distributed by MEDIA 7, which brought the Trio international recognition. 1993: Duchemin recorded his third CD with his Trio, "THREE PIECES", distributed by Night & Day. Oscar Peterson wrote, "I very much enjoy this French pianist" and Martial Solal commented, "A very beautiful record". 1995: Duchemin's Trio was engaged by tap dancer VICTOR CUNO and his troupe for a tour of the major cities in Switzerland, Belgium and Germany. Duchemin also toured with the legendary American tap dancer CHUCK GREEN. 1996: Duchemin produced a private CD recording by the Trio for tap dancers, "ENCORE". 1997: A year of concerts with vibraphonist DANY DORIZ, DUFY JACKSON, the former drummer of the COUNT BASIE ORCHESTRA, and ALVIN QUEEN. 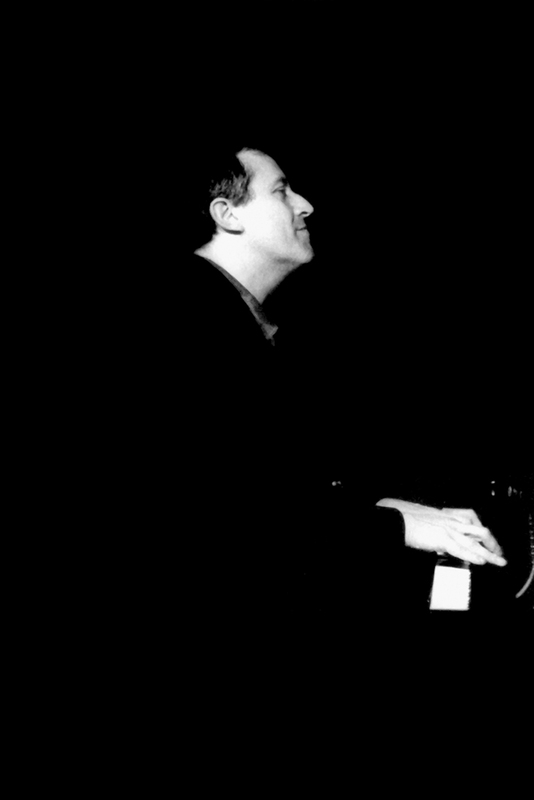 1998: Philippe Duchemin appeared notably at the Marciac Jazz Festival with BENNY WATERS and on a jazz cruise on the "S.S. Norway". A new CD was also released with the Trio, "THREE COLORS". 1999: Philippe Duchemin appeared with saxophonists RED HOLLOWAY and GIANNI BASSO. He also made the CD "MAGLI CHANTE ELLA" with singer MAGLI LEON. 2000: Included concerts in Barcelona. 2003: Duchemin went on tour to Africa, performing in Senegal and Burkina Faso. During this year he also gave concerts in Bucharest, Romania. 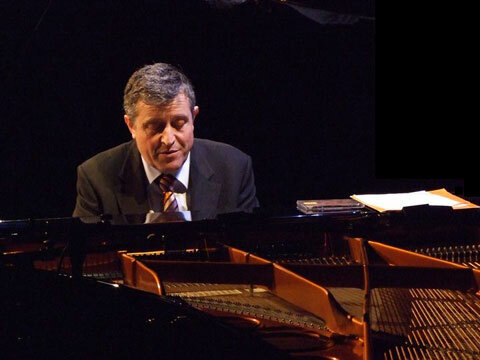 2004: Philippe Duchemin released his CD tribute to Oscar Peterson, "FOR OSCAR" with piano, guitar and bass, the same line-up as the famous Peterson trio. 2005: Tour in Jordan for "Alliance Française", concerts in Gambia and Senegal. Records the CD "On the New Jersey Road" in New York with the Vibraphonist DANY DORIZ. 2006: Again in Jordan with his trio. Performs in France with the great saxophonist SCOTT HAMILTON. Plays with the american singer MANDY GAINES in many Festivals in France. 2007: Two tours in West Africa with his Trio. French tour with MANDY GAINES, AUSTIN O'BRIEN. Invited to play for the "Radio-France" Festival in Montpellier. 2008 : Cruises in South America, Grece, Spain. Concerts in Holland, in Washington D.C for "Allaiance française", record with the singer Austin O'Brien, patron of the festival "Jazz en Mars" in Tarnos (Landes), concerts with the american singer Deborah Brown, Scott Hamilton, Bob Wilber, Marcel Azzola. 2009 : Concerts in Brussels, tout in Marocco for "Allaiance française", cruises in Israel, Dubai, Libya, Greenland. Montauban Festival's "carte blanche", La Baule's Jazz Festival, Pleneuf-Val André, Monségur Jazz Festivals. Tour in Brasil (Jazz Festival Brasil). 2010. Concerts/festivals with the SWINGERS leader trombonist François Guin. Cruises in North America, Egypte, Baltic and Mediterranean. French tours with his own Trio. Recording of CD "Massilia" with Le Van brothers. 2011. Tour in Amazon, concerts in Halifax (Canada), tour in Norway. Concerts in France with the saxophonist Scott Hamilton. Winner with his Trio of the International Competition in Montauban. 2012. Asian tour, recording of "Swing & Strings" (trio jazz + string quartet), concerts in St Petersbourg with his Trio. Represents the french culture in Botswana (Africa). French tour with saxophonist Scott Hamilton. 2013. Festival "Whites Nights" in St Petersburg with violonist David Goloschokin. French tours in Trio with Le Van brothers. 2014. Festival of Marciac, french tour with violonist David Goloschokin. Discovery et a lots of concerts with trumpeter Lucienne Renaudin-Vary in quartet. 2015. Création of the "Nougaro project", string ensemnle arrangements. CD Black & Blue label "Dansez sur Nougaro" with the singer Christophe Davot and the concertmaster Anaud Aguergaray, leader of Kammerphilarmonia ensemble. Cruise of the "l'Express" newspapaer avec Le Van brothers, cruise of "Sciences & Avenir" newspaper. Concerts with trumpeter Lucienne Renaudin-Vary. 2016. Recording of new CD "Passerelle" - Trio et string quartet - "Black & Blue" label. Tours with saxophonist Scott Hamilton. Concerts in France and Germany with trumpeter Lucienne Renaudin Vary. Festival in trio atSt Petersburg in Russia.